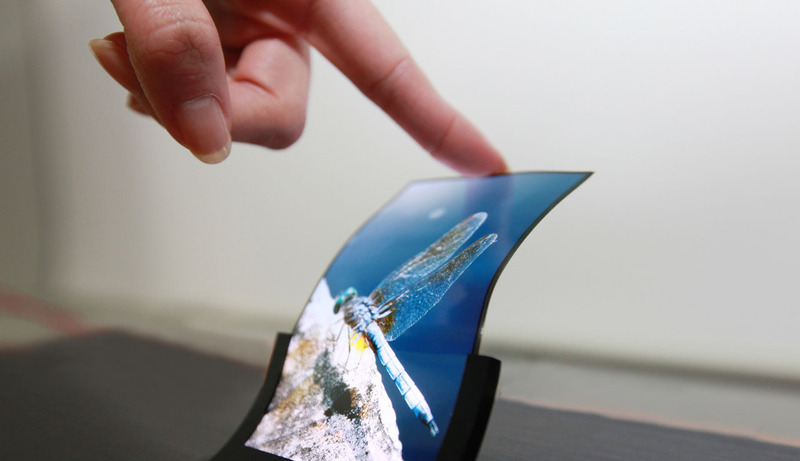 Samsung has been toying with the idea of bendable OLED displays for years and even demoed a prototype back in 2012. It seems that the company finally has something to show for it as a top company executive recently hinted that the mysterious device might be unveiled later this year. Is this the Galaxy F, Samsung’s first foldable display smartphone that we’ve been hearing about for quite some time now? Putting the rumours that claimed Samsung’s foldable smartphone will be unveiled next year to rest, CEO of Samsung’s mobile division, DJ Koh recently said in an interview that the phone might be revealed at the Samsung Developer Conference, which is slated to take place in San Francisco during the month of November. Koh admitted that it is a complicated device to build and still not complete. However, he said that the development is in the final stages. Unlike the traditional flip phones that require a hinge, Samsung is reportedly making a screen that bends. Even though Koh didn’t reveal what the device would be called, the names Galaxy X and Galaxy F have been hinted at by many rumours. Koh said that his company doesn’t just want this device to function like any other tablet when unfolded, but want to introduce applications and capabilities that will differentiate it from other smartphones. He further revealed that users will be able to do most of the tasks when the tablet is in the folded state but they will have to unfold it for browsing or seeing something else. Samsung understands that if the device just functions like any other tablet on the market when it’s unfolded, users will not develop a strong reason to purchase it. That’s why the Korean giant wants to embed functionalities that will make customers realize that the form factor lets them do things that were unimaginable on other devices. Speaking of form factor, Koh also said that this product is not a shot in the dark and consumer surveys conducted by the company have revealed that there is a demand for foldable devices. That’s why the numero uno smartphone manufacturer has taken it upon itself to deliver such a phone. DJ Koh’s revelation that the device will be unveiled soon has come as a surprise but given the fact that other manufacturers such as Lenovo and Microsoft are also working on their own bendable devices, it is understandable that Samsung wants to beat them to it. The sales of the company’s smartphones are also falling considerably and the recently revealed flagships aren’t expected to improve the situation. A bendable smartphone could give the company a much-needed boost but keep in mind that the company hasn’t revealed when it plans to commercialize this unique gadget.